We are seeking a Sales and Customer Service Coordinator. The successful applicant will be a pivotal member of a small, friendly and agile team based in Oxford. If you are interested in applying please click here for further information about the role. With over 3,400 titles already published, BAR Publishing is one of the world's largest and most respected academic archaeology publishers. For over 40 years we have been publishing academic archaeological research from around the world. 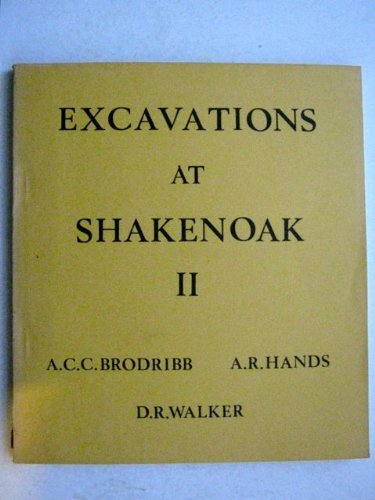 The origins of BAR go back to 1967, when Anthony Hands, David Walker and their colleague Conant Brodribb found it impossible to secure a publisher for their excavation report of a Roman Villa at Shakenoak Farm, Oxfordshire. They recognised the need for a quality specialist publisher to bring excellent research to market quickly and efficiently. Their ambition was to create ‘a worldwide databank in archaeological research that is relevant in 100 years’ time’. The idea of BAR was born. A printing machine and a guillotine were bought and from a back office, with the help of many teenage students, the first BARs were produced. Anthony and David were determined to include academic archaeological work from countries which were barely represented, including the former Soviet Union and Eastern Europe, and Spain under Franco’s regime. They committed to publishing manuscripts in five languages, with English being the main language, but also including manuscripts in French, German, Spanish and Italian. BAR is located close to the centre of Oxford, England, and is run by a dedicated specialist team. Our established and wide-reaching sales and marketing channels ensure that we reach the potential market for each specialist book we publish. We have a network of sales agents based in different countries around the world to promote the BAR series. Our books are stocked by major libraries worldwide and we use state-of-the-art custom printing partners to make books available globally at reasonable prices.